Signup with Paymatrix and get exclusive benefits from our partners. SIGNUP with Paymatrix to get more such exclusive deals! WashApp is your laundry and dry cleaning partner in Hyderabad who delivers quality, reliable and affordable Laundry Services in time at your doorstep. 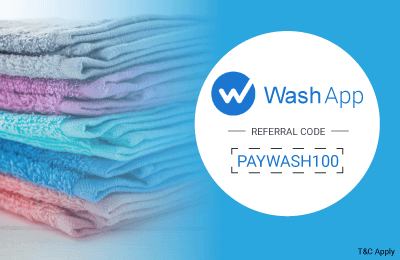 Use the code to get Rs.100/-* off at WashApp. 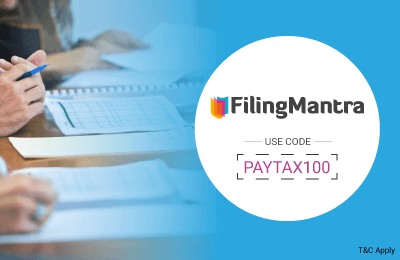 Get Rs 100 OFF on your first order at Filing Mantra! Filing Mantra provides online tax filing services to small business, professional and Individuals. It has developed automated tax filing platform for individuals. Use the code to get Rs.100/-* off on your first order at Filing Mantra. Now it’s time to smartly manage your rentals and rent deposits.